He defeated the Lusitani, and took their principal city, Oxthracae. Obverse: Helmeted head of Roma right, X (mark of value) below chin, SARAN behind. 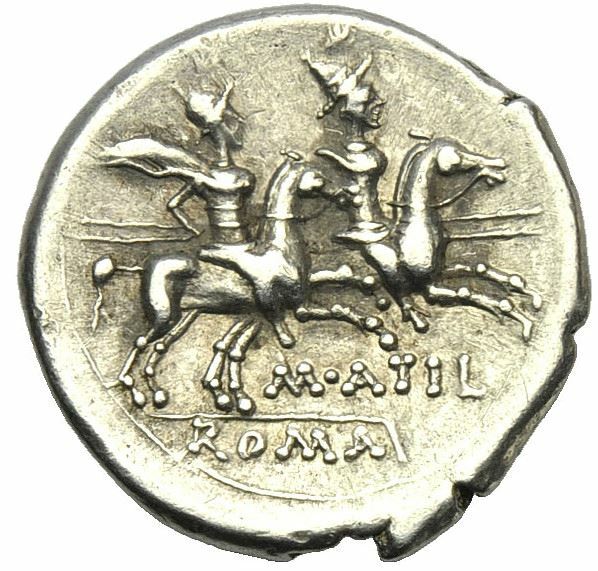 Reverse: The Dioscuri on horseback riding right. Below horses, M•ATILI and ROMA in linear border in exergue.